A time to review the year, as Hogmanay approaches – letting go of 2015 and welcoming in the new year 2016. I feel as if I have only just got used to writing the year 2015 rather than 2014, and yet here we are at the end of another year! I had hoped to have done a well thought pictorial review of the year, but there just hasn’t been time! We have had a busy year – which is great – thank you to all of those who have supported us this year. We have enjoyed meeting many new faces who are as welcome as the familiar ones who return time and time again like the swallows and the cuckoos. Some of our regulars have been coming to stay here for 35+ years or more, longer than the 21 years we have been here – and when we make any changes in the cottages we almost feel we should ask them first! We managed to squeeze in a few changes to the cottages last winter, and just before Christmas this winter, we did some improvements in West Cottage, including a very smart new shower, and masses of additional insulation, so it should be even better at saving energy now. 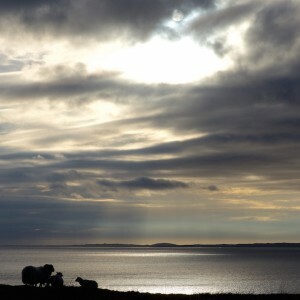 Our Green Tourism ethos is always encouraging us to save energy, and this year has been the year of the LED lighting! We fitted LED tube lights in the office which should make a huge saving – from 35W – 5W on each tube.. They seem so much brighter too! The weather this year has been interesting at times! 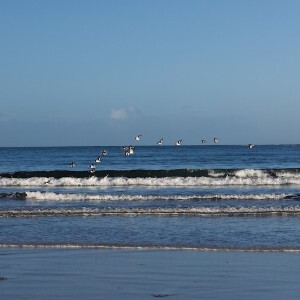 Some wonderful spells of clear and dry weather, and some seemingly endless spells of wet and windy weather. Last night we had Storm Frank, which gave us a power cut for a few hours, and a lot of rain. The fields seem like a giant puddle. We have been extremely lucky compared to the terrible flooding in some parts of Scotland and the UK. Lambing seems like a long time ago now, but it is always a positive time of year, when the days are getting longer and warmer. Farmer is always relieved when the middle of May comes and most of the ewes have lambed. The wild flowers this year also seem a long way behind us now. But with the cold spring, we had a mixed year with some flowers coming very late and others bang on time. Orchids tended to be late, but the Heath spotted and Common spotted seemed to LOVE the weather, and flowered abundantly, as did the Common Twayblade, which we found flowering in places we have never found them before. What a delight! 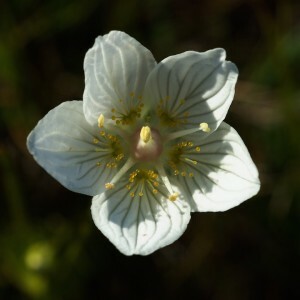 Grass of Parnassus also enjoyed the summer and flowered well and late into the autumn. It was wonderful to come across glades of them in damper parts of the fields. 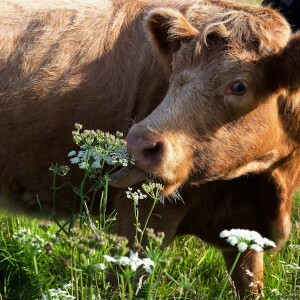 Sadly, in my Review of the year, I have to mention the cows. They were sold in October. The place does seem empty without them, but we had Jamie’s heifers here until a few weeks ago, and next summer we are hoping to have other cattle grazing so that the management we do to encourage biodiversity will be maintained. That is really important to us. I suppose I couldn’t review the year without mentioning the Aurora Borealis! It has been a good year! I think the night of 17th March was probably the most memorable (ever), and I wish I had tried out time-lapse that night, as it would have been spectacular to have recorded the hours of aurora that night..
All in all, it has been a good year. 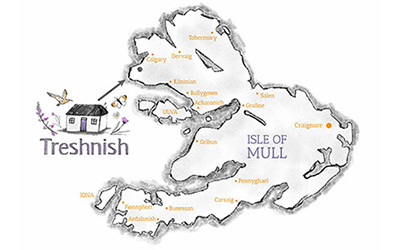 We are so lucky to live on this beautiful island, and to be share Treshnish with all of you. We look forward to welcoming many of you here again in 2016. WE WISH YOU ALL A HAPPY NEW YEAR AHEAD! 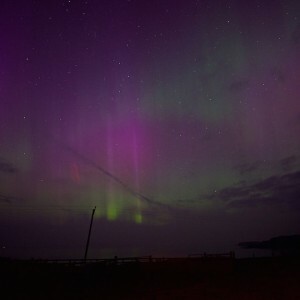 Next article A Hogmanay Aurora!